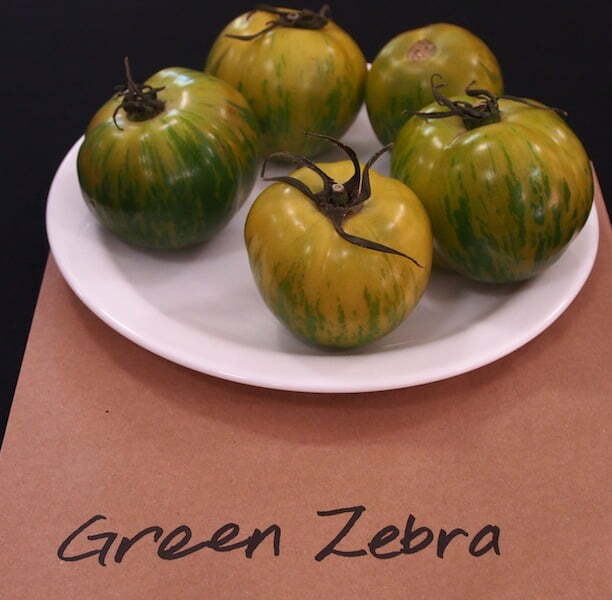 In tomatoes, other colours are definitely the new black…er…red, as yet another taste test confirms our preference for the delicious Green Zebra, Honey Delight and Cherokee Purple. The University of Missouri’s Bradford Research Center taste-tested 75 indeterminate tomato varieties at the Missouri State Fair and the Bradford Tomato Festival last September and found that the top 3 tomatoes were not the traditional bright red tomato but instead a rainbow of other colours, including stripy green, golden yellow and a blackish-purple brown. Honey Delight came in number 1 for flavour, followed by Green Zebra and Cherokee Purple. 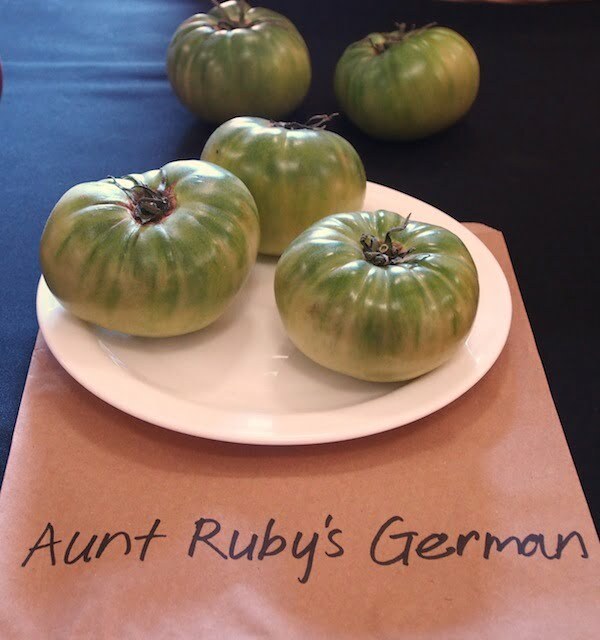 Diggers Club has run similar taste tests around Australia and found that a cherry tomato called ‘Green Grape’ scored the best, followed by ‘Rose de Berne’, Aunt Ruby’s German Green and then ‘Black Krim’, in a resounding victory for the unusually coloured tomatoes. ‘Green Zebra’ came in at #12. It seems that growing green tomatoes can also save them from bird attack as they are not attracted to what they think is underripe fruit. Tomatoes and rhinos. Yes, together.